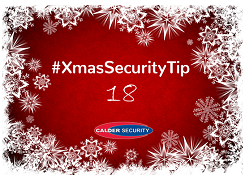 18th December is 1 of 5 dates you’re more likely to be burgled. Don’t hide your gifts in obvious places. Under the bed and in the wardrobe are the first places a burglar will look!